Many individuals between the ages of 17 to 25 will need their wisdom teeth removed. Dr. Susana Moncada at our Orlando, FL, office can help you explore wisdom tooth extraction options and decide if this procedure meets your dental needs. In addition to local anesthetic, Windermere Dental Group offers nitrous oxide sedation to manage patients’ anxiety during the procedure. Our skilled and compassionate dental team strives to ensure a smooth, successful, and stress-free wisdom tooth extraction experience. Wisdom teeth, otherwise known as the third molars, are the final teeth to surface through the gums. These teeth usually emerge when patients are around 17 to 25 years old, but some patients' wisdom teeth never erupt. Sometimes patients' wisdom teeth erupt just like their other molars, with no complications. However, most wisdom teeth become impacted. 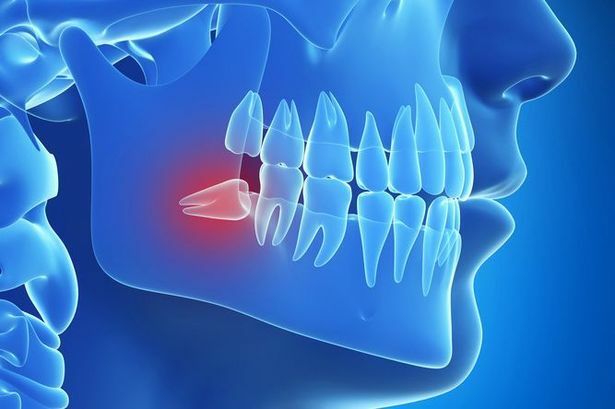 A wisdom tooth becomes impacted when it runs out of room to grow or grows at an angle, causing discomfort, infection, or damage to surrounding teeth. When this happens, you will probably need to have these impacted wisdom teeth extracted. Typically during wisdom tooth extraction, the four permanent, adult teeth found at the back of your mouth on the top and bottom are surgically removed. Foreseeing future issues with impacted wisdom teeth can be challenging. While wisdom teeth might not present symptoms, they can still harbor disease. Wisdom teeth place you at higher risk for gum disease and cavities. Surgical complications are rare in young patients, whereas older patients may encounter difficulty during and after surgery. Patient comfort is important to us at Windermere Dental Group. Therefore, we offer nitrous oxide sedation in addition to local anesthesia for wisdom tooth extraction surgery. Before receiving an injection of local anesthesia, Dr. Moncada will numb the treatment site. While you will be conscious during the extraction and will be aware of pressure and movement, you will not feel any pain. Our skilled and compassionate dental team strives to ensure a smooth, successful, and stress-free wisdom tooth extraction experience. During the procedure, Dr. Moncada will create an incision in the gum, making flaps to bare the tooth and bone. She will remove any bone blocking the wisdom tooth. Dr. Moncada will then gently remove the tooth. She may divide the tooth into parts for ease of removal, extracting the tooth piece by piece. Finally, she will suture the incision closed for faster healing and apply gauze over the treated site to curb bleeding and assist in the formation of a blood clot. Although most wisdom tooth extractions will not cause long-term difficulties, some problems can occur, such as dry sockets, damage to the sinuses near the upper wisdom teeth, diminished strength of the lower jawbone, and socket infection from bacteria or debris. To avoid post-surgery complications, it is important to follow Dr. Moncada’s instructions, specifically for cleaning your mouth correctly. While brushing your teeth is normally considered a good practice for dental hygiene, patients must not brush their teeth, rinse their mouth, or spit for 24 hours after surgery. For a week after surgery, patients may carefully rinse their mouths with warm salt water every two hours and after meals. Also, after wisdom tooth extraction, patients should not smoke for at least 24 hours after surgery and should wait longer than that if possible. If you think you might have impacted wisdom teeth or would simply like to schedule a routine checkup, call our office today at 407-294-1132 or contact us online anytime.